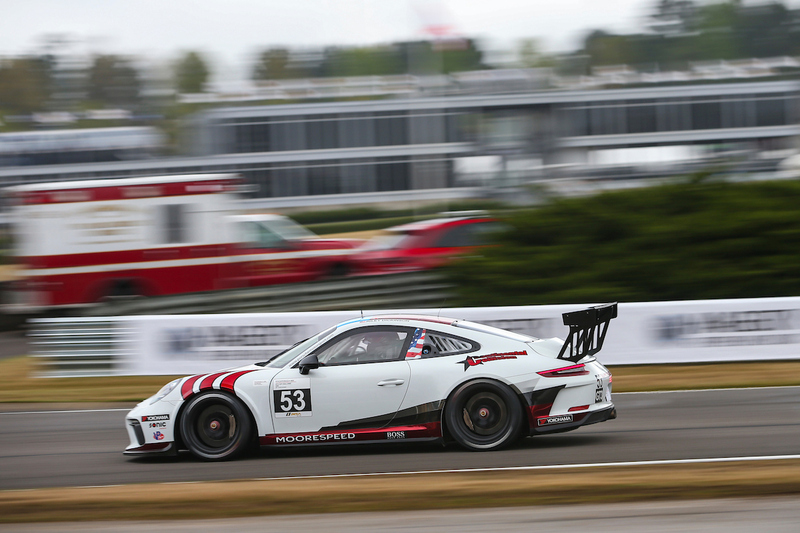 18 year old Roman De Angelis, from Belle River, Ontario, executed a perfect race weekend in the opening rounds of the Porsche GT3 Cup Challenge USA at Barber Motorsports Park, in Birmingham, Alabama. De Angelis started each race in pole position, lead every lap and won each race by a comfortable margin in his No. 79 Kelly-Moss Road and Race 2019 Porsche 991. De Angelis won the 45 minute race at the 3.7 kms (2.3 miles) road course by a 17 second margin over 16 year old Texas resident Riley Dickinson driving the No. 53 Moorespeed 2019 Porsche 991. Third place went to 21 year old, Red Deer, Alberta, native Parker Thompson driving the No. 3 JDX Racing 2018 Porsche 991. The second race, which took place on Sunday, resulted in the same top three finishers. De Angelesis started from pole and managed to pull out a 21 second lead over Riley Dickinson with Parker Thompson finishing third. 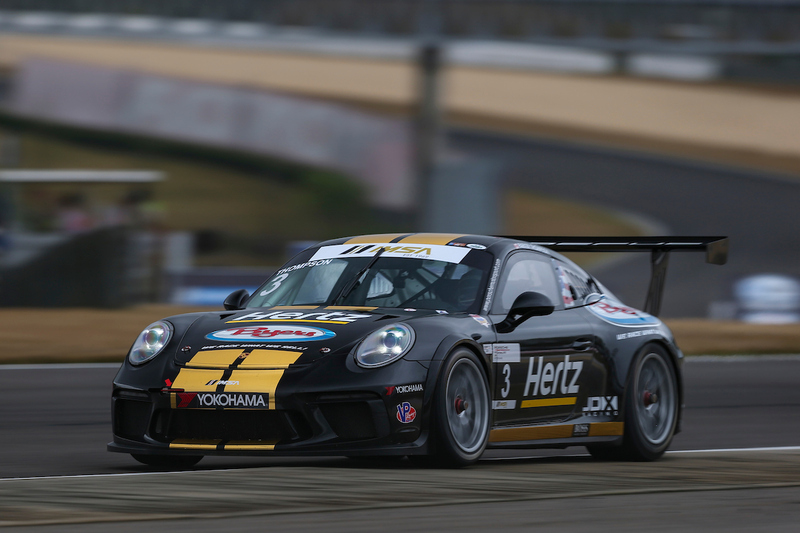 Complete race results can be found at the IMSA Porsche GT3 Cup Challenge USA By Yokohama website. The 2019 season consists of eight doubleheader weekends and 16 races. Up next are rounds three and four at the Mid-Ohio Sports Car Course, in Lexington, Ohio, May 4th and 5th. One of the highlights for all of the Canadian drivers participating in the series will be the stop at the famed Circuit Gilles Villeneuve in Montreal, Quebec during the Canadian stop of the Formula 1 World Championship, which takes place June 8th and 9th. Roman De Angelis starting racing go-karts at the age of 9, competing in all of the major North American karting series. 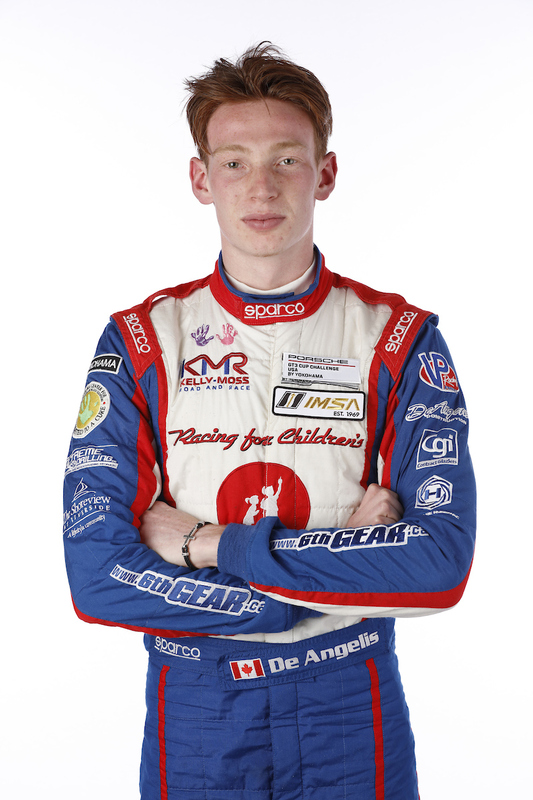 In 2016 De Angelis moved up to open-wheel race cars competing in Formula 1600, winning five races being awarded Rookie of the Year. At just 16 years of age, De Angelis became the youngest driver ever to compete in the Canadian and US Porsche GT3 Cup Challenge series. In his rookie season, De Angeleis won the Canadian series and was poised to win the US series as well but a racing incident forced his retirement in the final race and he finished second overall.